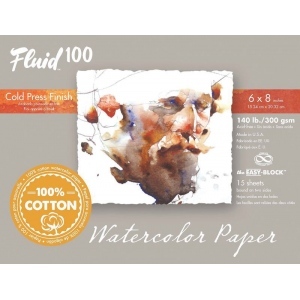 Fluid 100 is a premium archival cotton watercolor paper unlike any other. * It is made by our European mill masters who combine traditional papermaking techniques with modern technology. * The result is a beautiful natural white sheet that is strong with a subtle yet pleasing surface texture. 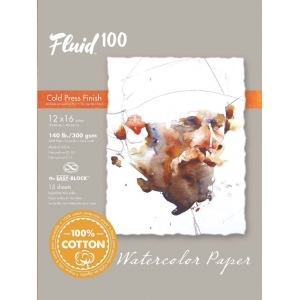 * The gelatin sizing allows the artist greater control and produces brilliant and intense color. 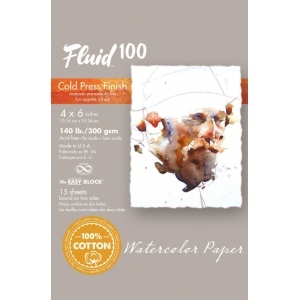 * This is a paper both affordable and long lasting. 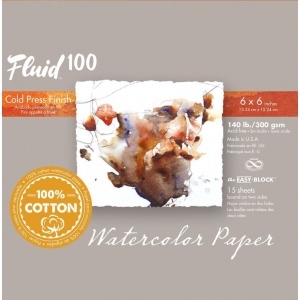 * Perfect for use with either wet or dry techniques.